Standardized testing is an important part of the college application process for many students. Whether you’re applying to a state school close to home or a graduate nursing program, there’s a good chance you’ll be required to submit standardized test scores. Colleges and universities use test scores in a variety of different ways, but most often, they are used as indicators of academic ability and potential. 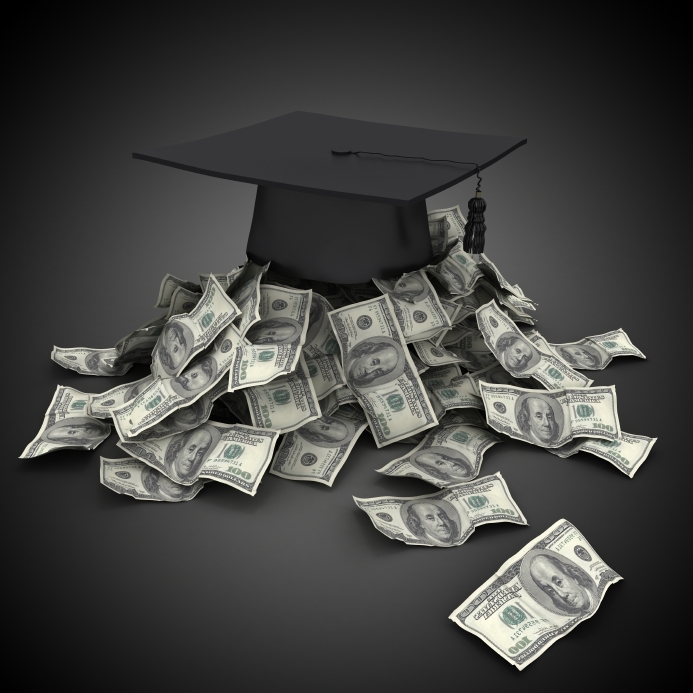 Furthermore, they may used to determine scholarship eligibility. Ready to start applying and preparing for college? Then listen to this episode of the YesCollege Podcast. Scott was joined by Mira Simon who runs a coaching service called Coach Mira – Pathway to College. Click here to view this episode’s show notes. If you’re applying to a bachelor’s degree program, you’ll most likely need to take the ACT or the SAT. Applications to business, graduate, law, and medical schools require scores on one of these standardized admissions tests: GMAT, GRE, LSAT, or MCAT. Or, if you’re simply looking for a high school graduate equivalency exam, the GED is for you. To determine which test you need to take, check your school’s website or contact an admissions representative. The ACT, originally an abbreviation of American College Testing, is a national college admissions exam accepted by all four-year colleges and universities in the United States. The test questions are related to what students learn in high school. It’s a multiple choice exam with prep tests offered online to help students prepare. Sections: Math, Science, English, Reading, Writing (not all schools require the writing test). Scoring System: A composite score and each test score (English, Mathematics, Reading, Science) range from 1 (low) to 36 (high). Cost: $36.50 (no writing) or $52.50 (with writing). When to Take the Test: Most students take the ACT for the first time in the spring of their junior year in high school. Additional Notes: Some students are eligible for a fee waiver. Review the ACT Fee Waiver form to learn more. The SAT is a college admissions test taken by many high school students in the United States. It is a globally recognized exam that helps predict academic success in college. The exam is offered several times a year and tests a student’s aptitude in reading, math, and writing. SAT Subject Tests are also offered that allow students to showcase their knowledge in a specific subject area. Sections: Reading, Math, Writing (which includes a written essay). Scoring System: Each section receives a score on the scale of 200–800. Cost: $51.00 (SAT Subject Specific Tests fees vary by subject). 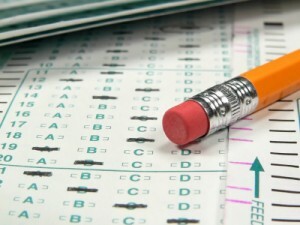 When to Take the Test: Most students take the SAT for the first time in the spring of their junior year in high school. Additional Notes: Some students are eligible for a fee waiver. Review the SAT Fee Waiver form to learn more. The GMAT, administered by the Graduate Management Admission Council (GMAC), is accepted by more than 5,800 business and management programs across the globe. The exam is used to assess the qualifications of applicants for advanced study in business and management and is often required by most schools for admissions. Sections: Analytical Writing, Integrated Reasoning, Quantitative, Verbal. Scoring System: Total GMAT scores range from 200 to 800. Hosting Company: The Graduate Management Admission Council (GMAC). When to Take the Test: Many students wait until fall of their senior year in college to take the GMAT if applying to graduate school the following year. Additional Notes: The GMAT is considered the number one choice for MBA applicants. The Graduate Record Examination (GRE) is the most common admissions test for graduate or business school. The test allows you to skip questions within a section, change answers, and tackle sections in an order that works for you. You can choose not to send scores on the test day or send reports to designated schools. The GRE questions are aimed at measuring your ability to think logically and analytically. Sections: Analytical Writing, Quantitative, Verbal. A Verbal Scaled Score (on a scale from 130 to 170, in one-point increments). A Quantitative Scaled Score (on a scale from 130 to 170, in one-point increments). An Analytical Writing Score (on a scale from 0 to 6, in half-point increments). When to Take the Test: Many students wait until fall of their senior year in college to take the GRE if applying to graduate school the following year. You can take the GRE as often as it is offered. Additional Notes: ETS will reduce the test fees under certain circumstances. The Law School Admission Test (LSAT) is a half-day, standardized test administered four times each year at designated testing centers worldwide. This test is considered an integral part of the law school admissions process in the United States. Many law schools require applicants to take the LSAT early in advance. Scoring System: Scores range from 120 to 180, with 120 being the lowest possible score and 180 the highest possible score. Hosting Company: Law School Admission Council (LSAC). When to Take the Test: Many schools require that applicants take the LSAT by December for admission the following fall. Taking the test earlier (June or September) is often advised. Additional Notes: Law schools have the option to compare your original test score to your scores on subsequent tests. The Medical College Admission Test (MCAT) is a standardized test that is an important part of the medical school admissions process in the United States. It is specifically designed to assess an individual’s problem solving and critical thinking skills as well as knowledge of science concepts. Almost all medical schools in the United States and many Canadian schools require applicants to submit MCAT exam scores. Sections: Physical Sciences, Verbal Reasoning, Biological Sciences, Physical and Biological Sciences, Verbal Reasoning Cognitive Skills, Trial Section (voluntary and unscored section that asks you to test out questions for a future version of the MCAT exam). Scoring System: The Physical Sciences, Verbal Reasoning, and Biological Sciences sections on the MCAT are scored between a 1 and a 15. (1 is the lowest score and 15 is the highest score.) The highest MCAT score is a 45. Hosting Company: Association of American Medical Colleges (AAMC). When to Take the Test: The AAMC advises test takers to register for the exam in the calendar year prior to the year in which they plan to enter medical school. Additional Notes: You may take the MCAT exam a maximum of three times per year. The General Educational Development (GED) exam is the only high school equivalency credential recognized in the United States that gives students who didn’t graduate from high school the opportunity to earn their way to a job or college. The test is offered in a block testing format; specific subjects are offered at one time on each testing date. Sections: Social Studies, Science, Reading, Mathematics, Writing. Scoring System: Scores range from 200 to 800 and compares an individual’s performance in a content area to the performance of a graduating high school senior. A minimum of 410 is required to pass. Hosting Company: GED Testing Services. When to Take the Test: The GED must be taken at a designated testing center at a time most convenient for the test taker. Additional Notes: The only way to officially pass the GED is to take it at a State-approved testing center.